Who said email Marketing is dead? Email marketing is still the most reliable form of marketing because it has the highest ROI (Return on Investment). And that’s the reason for many reliable email marketing companies on the internet. These email marketing companies do have their own affiliate programs. 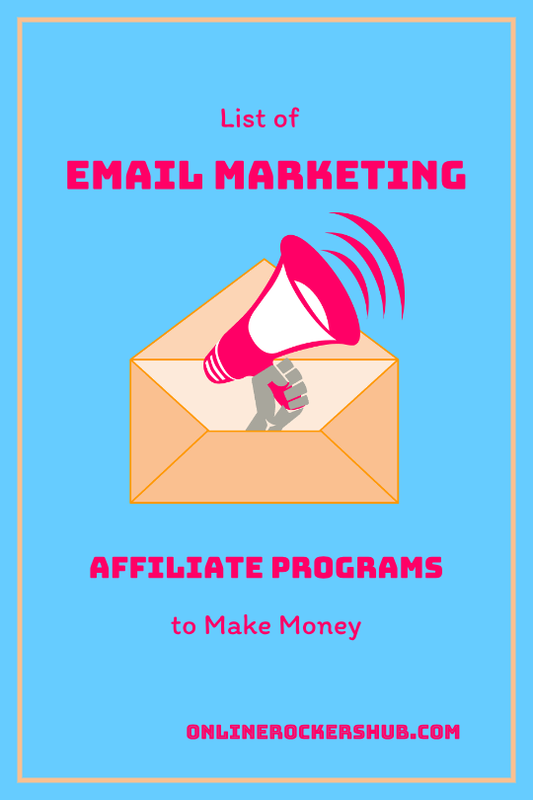 In this article, you can download my list of email marketing affiliate programs, by which you can make some money online. Why should you consider joining email Marketing affiliate programs? Fill the Form to Download this List! Thank you! You will be redirected to the email list now. Email Marketing is one of the most profitable Affiliate marketing niches. Here are some reasons to consider joining email marketing affiliate programs. Email Marketing affiliate programs usually pay a very high commission rate. There are some email marketing affiliate programs, that offer recurring commissions too. When you join these affiliate programs with recurring commissions, you simply need to refer an affiliate sale. And, then whenever your referred customer renews his membership, you will get commissions. Lifetime recurring commissions is one of the most lucrative types of affiliate programs. If you are a blogger and writing content about Blogging Tips and Marketing, then this type of affiliate programs are best suited for you. Because email marketing is the key to success for any online business. So, if someone has an online business, then they will most probably have a blog too. When they have a blog, they will look for blogging tips to get more traffic to their blog. So, if you are writing under Blogging niche, then email marketing affiliate programs will be most relevant for you. Generally, Email Marketing affiliate programs offer many swipe copies, and attractive banners to get leads. These swipe copies and attractive banners are the best converting. Apart from these, most email marketing programs offer a trial program. Referring customers to use trial program is a lot easy. Also, trial programs, have a better chance for conversions. Unlike other affiliate programs, email marketing affiliate programs offer a longer cookie period. It can go from 120 days – 365 days. Assume, you choose an affiliate program with 120 days cookie period. When someone clicks your affiliate link and visits the email marketing software and leaves without purchasing the membership. But, the cookie associated with your affiliate link will remain on their computer for the next 120 days. During this next 120 days, if that person buys a membership from this email marketing software, then that affiliate sale will be recorded for you, provided he doesn’t click anyone else affiliate link in the meantime. So when the cookie period is longer, the chance for conversion is even higher. If your chosen email marketing affiliate program is under an affiliate network, then you can reach the payment threshold faster. Because you will be promoting many more affiliate programs under this affiliate network. For example, VerticalResponse is an email marketing affiliate program under ShareASale, which is one of the most popular affiliate networks with so many other lucrative affiliate programs. Consider joining VerticalResponse under ShareASale here. If your email marketing affiliate program is under their own website, then you might find it a little difficult to reach your payment threshold every month. I have collected a list of most lucrative email marketing affiliate programs for you and compiled it as a pdf. You can download this pdf, after filling out the form below. We respect your privacy and we don't share your email address with anyone. Hope, you found that list of affiliate programs useful. Join these affiliate programs and start promoting these email marketing programs. 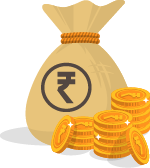 Enjoy earning money online! Thank you 🙂 OnlineRockersHub will always be a great resource for Bloggers.